….and so it begins. Juventus head into another Champions League campaign with the burden of expectation weighing heavily upon them, knowing full well that it’s been over 20 years since the club last won the trophy. The draw has been kind…ish. We’ve got opponents in our group that we’ve played before, teams we’ve beaten on home turf, teams that we understand well, starting with tonight’s home game against Sevilla. Max Allegri spoke at length in his presser yesterday, highlighting the need for humility in our approach to the competition and to take each match as it comes. “Patrice Evra will start. I only have one doubt in midfield.” Allegri told the press. “Some are coming off international duty and have played several games in a row, so I will decide tomorrow. My only doubt is in midfield. 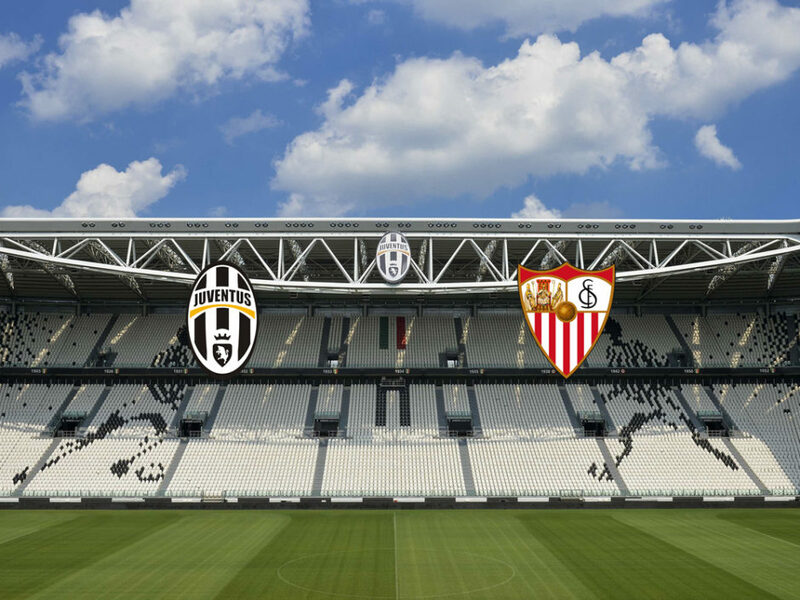 “When Juventus take part in the Champions League, they must target the maximum result. Sevilla have won the Europa League for the last three years in a row, so this is a difficult game. “Sevilla were very organised in defence last term, but are now much more attack-minded, score a lot of goals and have changed their approach. That means we must be patient, balanced and remember the only objective is three points. “I am accustomed to facing one thing at a time. Our objective is to win tomorrow’s game and get through the group. It is a whole other competition in March, where we must be at our peak physically and psychologically. Then things have to go your way, which they didn’t over the last two years. Juve’s chances in the Champions League look good this season, and they’re well worth a bet – Remember you can get the best betting promo codes. “At the end people remember who wins, not who comes second. We must also not take Serie A for granted, as people seem to assume we’ll win the Scudetto, that it’s already written, but the quality of the other teams is very high and it will be tough. “It was not a surprise for me when we got to the Final in Berlin. Juventus are a team built to fight along with Real Madrid, Barcelona, Bayern Munich and Manchester City to go all the way in the Champions League. “We have only four players left from that side, we are still putting together the team and the new players are settling in, so we are a work in progress. The side started relatively well in Serie A, we will try to start well in the Champions League. “There is no point now thinking about what will happen in March, April or May. One step at a time. “Everyone can improve and that is what we are working for. Gigi Buffon proves that, as he always works to improve. As long as you play, your objective should be to get better. “We have Mario Mandzukic, who played the first two games and was on the bench against Sassuolo, but has great international experience and won the Champions League already. He is an added value, seeing as at the moment we just get asked about Higuain and Dybala. “When you arrive at a club like Juventus, there is always pressure. You mustn’t lose your head in the favourable or unfavourable moments. There will be moments of difficulty, but that doesn’t mean a team is suddenly useless. We saw what people said about us last season when we had a rough start. “What counts are results and at this moment people claim that the Champions League is the primary objective of the season. 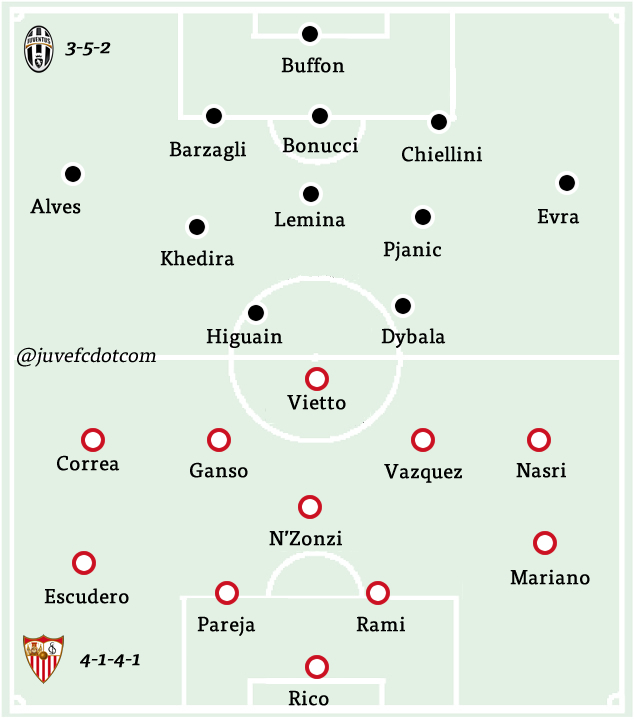 Allegri’s team almost picks itself, given the strong performances in this weekends victory over Sassuolo. Buffon will start in goal with Barzagli, Bonucci and Chiellini in front of him. In the midfield, it’s almost certain Sami Khedira starts, along with Miralem Pjanic while Mario Lemina might be given the nod again, considering his strong displays so far this season. Dani Alves was rested at the weekend, as was Patrice Evra, making them the full-back duo of choice, with Higuain and Dybala leading the attack. 3-5-2: Buffon; Barzagli, Bonucci, Chiellini; Alves, Khedira, Lemina, Pjanic, Sandro; Higuain, Dybala.